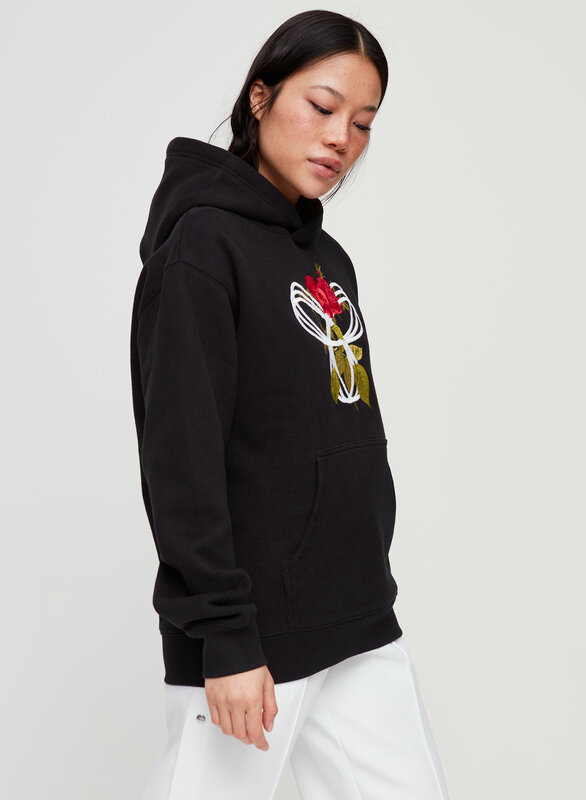 This is a relaxed pullover hoodie. 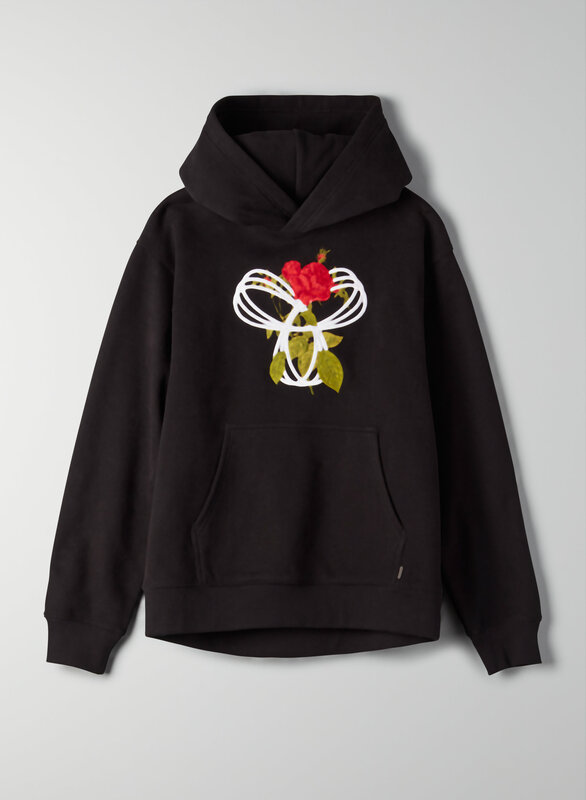 It's made with Tna's Classic Fleece, an ultra-plush, brushed fabric. 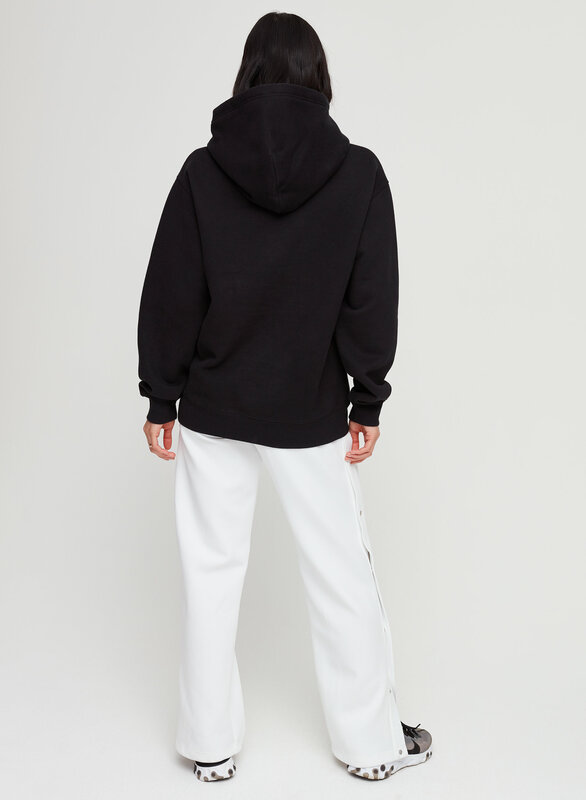 The hood is designed to keep its shape and sit perfectly on your neck and shoulders. 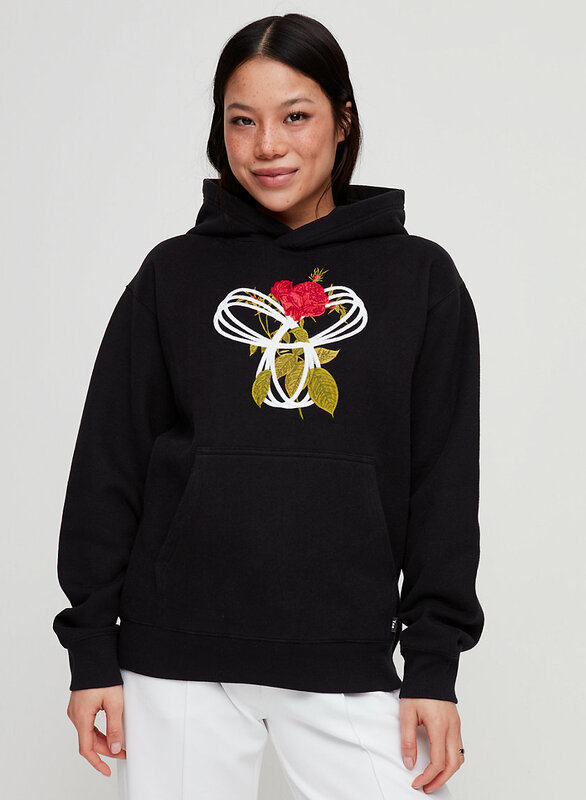 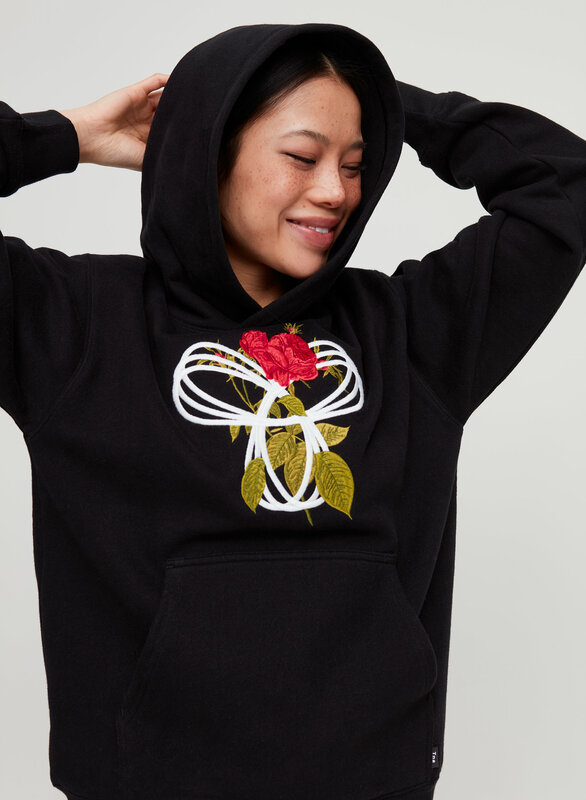 This version of the Perfect Hoodie features a new take on the Spiro logo with an interwoven floral.